Chicago, one of the largest cities in the United States of America is the favorite of most travelers and there’s a plethora of reasons to support. Be it the beautiful tourist attractions, the friendly people or the scrumptious food at the exotic restaurants, everything seems too perfect to live in the city of hearts. Every avid traveler must visit Chicago at least once in their lifetime to know how special it can make one feel just in a short while. 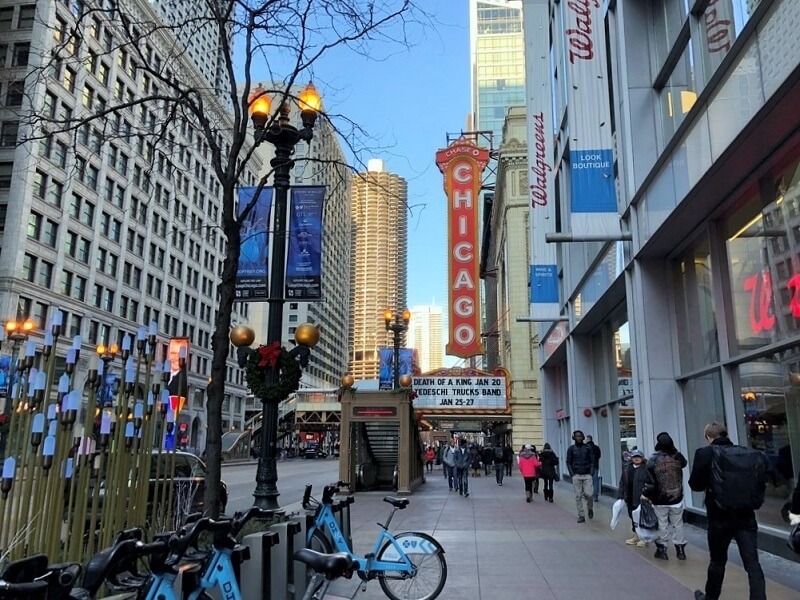 If ever you plan a trip to the city, which you should do soon, here is an insider’s guide about what to do in Chicago to make it easier for you to get around the city. Getting around in the city is very easy with the public transport available here. You can simply ride a bike in the city or get the trains or buses to go from one place to another. Transportation has turned out smoother and easier with the Chicago Transit Authority (CTA). You can also use the CTA cards while traveling in the local trains and buses. Every season seems great to explore Chicago but the city is at its best during Spring Fall and summer. Chicago experiences chilly winters which can also be a good time for people who love snow and cold. . The snow is perfectly pretty on the Christmas Day and you can enjoy ice skating in Daley Plaza. Not yet made the bookings? Get last minute flights at reasonable air fares at Indian Eagle. Let’s start with the best attractions in the city one must visit. A beautiful park or you can say an art-filled park located downtown of the city. Snap some pictures of “Bean” and watch a free concert. Get allured by the fountain videos and enjoy the peace in the gardens. You can also get a beer at the beer garden in Park Grill. It is one of the central attractions in the district. The area is full of some great works of architecture like the Thompson Center, the Willis Tower, Cultural Center, The Board of Trade, the Jeweler’s building and the list goes on. To have a unique experience, take the tour on a boat in the waters of Chicago River. When you go through a guide book of Chicago city, you will definitely come across the name of Michigan Avenue, the popular shopping hub in the city. It is a mile long stretch with all the top stores (perhaps your favorites) such as the Disney Store, Nike, the Apple Store and Macy’s. Entrepreneurs on a business visit get a good payoff for their business class flights once they visit this amazing place in the city. The most visited and loved part of the city is the phenomenal lakefront. On sunny days, you will find folks chilling, cycling, boating roller blading by the lake. Some other important places to visit in Chicago includes the amazing Wrigley Building, Tribune Tower, Museum Campus, etc. Make sure you stop by each of these to make some unforgettable memories. The second best thing about Chicago after the stunning tourist attractions is its food. From Thai to Ethiopian to Peruvian to Sushi, you can have anything you want. Ask an insider for Chicago food and you will hear them mention a plethora of affordable places for delicious treats. However, the best and affordable places to satiate your taste buds are Kuma’s, Ba Le, Big Star, Hot Doug’s, Xoco, Belly Shack and Cozy Noodles. To try splurge, you can head on to Purple Pig, Sunda, The Girl and the Goat, Frontera Grill and Japonais. If you want to taste the local food, Chicago has plentiful of local and ethnic food joints such as North Broadway (Ethiopian), Devon Avenue (Indian), Milwaukee Avenue (Polish) and Argyle Street (Vietnamese). The city of Chicago has the best places to quench your thirst for a drink. If you are lucky to have a favorable weather, head towards al fresco and check in at the various rooftop bars, sidewalk cafes or beer gardens. Some trendy bars include The Wit, Signature Room and the bars along Hubbard Street. There are a couple of sports bar such as Wrigleyville Bars and The Globe Pub. For people looking forward to spend a night at an outdoor space or rooftop, these can be the better choices – Park Grill, Studio Paris, The Wit Hotel Roof, Vertigo Sky Lounge, Gene’s Sausage Shop, Pegasus Rooftop, Moody’s Pub, Sheffield’s Beer Garden and The Trump Tower (terrace). Chicago is both affordable and a little over the limit when it comes to accommodation options. If you are on a budget backpacking, staying at the Hosteling International Chicago or AirBnB apartments can be a great idea. However, if luxury and comfort is your priority, there are plenety of 3-star and 5-star hotels like The Wit, Park Hyatt, Four Seasons, The Peninsula and The James. Shopping is one of the top most things on your list of what to do in Chicago. There are several shopping hubs for shopaholics such as the Oak Street, Michigan Avenue, Green City Market and State Street. Just think about anything you want, n you will find it in the city. We hope these Chicago travel tips and guide helps you decide the best getaways and stops in the city. Have a happy experience in the city of hearts.